Organizations need to protect their intellectual property. Herein, lies the catch where DLP modules in cloud security solutions help them to keep their critical data safe and secure. We are going to discuss DLP business case. Data Loss Prevention (DLP) technology is one that identifies, monitors, and protects the data of an enterprise. The data may be in use, in motion across the network or at rest in storage on desktops, laptops, and mobile devices. A CEO and CTO should be work on DLP business case to improve cloud security and reliability. Most of the enterprises have security tools that filter the incoming suspicious content and deflect attempts to gain unauthorized entry. But they do not have the appropriate techniques to address the data breach incidents. The technique of reducing the risks associated with exposing crucial information like losing intellectual property or violating compliance obligations is Data Loss Prevention. DLP includes practices like monitoring devices and traffic so that the outbound flow of sensitive information is prevented. First concern of DLP business case is the enterprises have to include DLP as a part of their broader security architecture. DLP offers deep inspection of content through analysis of transactions thus serving as data security policy enforcers to prevent unauthorized transmission of sensitive information. As data breaches become the norm, more and more enterprises recognize the need for DLP solutions. It protects the sensitive data from leaking and intentional misuse. Even though the enterprises are aware of DLP’s necessity, they struggle to make the appropriate business case use; and hence, its adaption is the key first step to the enterprise security endeavor. Also, DLP supports regulatory compliance requirements, but the difficulty lies in the proper justification of the project costs with the benefits. The advantages of DLP include mitigating the information loss risks and it is a technical tool to protect the sensitive information from leaving the secure enterprise network. The executives can increase the business case support by identifying the top security problems and addressing them with DLP solutions. There are several factors that necessitate the need for DLP solution adoption. Main among them is the need for compliance, increased property protection and enhanced security awareness. Need for Various Compliances: DLP solutions help enterprises achieve the challenges posed by international security regulations and standards like HIPAA, PCI Data Security Standard, GDPR etc. Implementing a DLP business case indeed are beneficial as they provide significant financial and operational benefits by reducing the compliance and protection costs. Then it also covers the costs incurred due to unmitigated risks like reputation damage and regulatory sanctions. The organizations should consider factors that influence both the risk and foreseeable benefit categories of DLP solutions and then proceed with its implementation. Businesses need to choose the right organizational investments so that they effectively manage information risks. Implementing a CASB solution with DLP business case module is one of those investments. 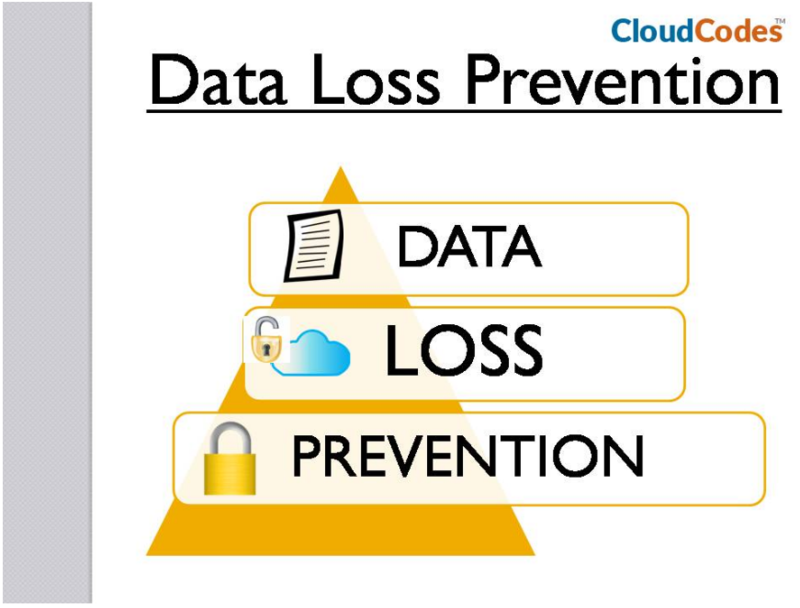 CASB solutions provided by Cloud Access Security Brokers with Data Loss Prevention (DLP) module is one of the wise investments of an enterprise so that it can safeguard its data.